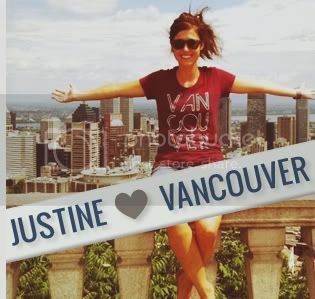 Photographer Jamie Delaine Loves Vancouver! 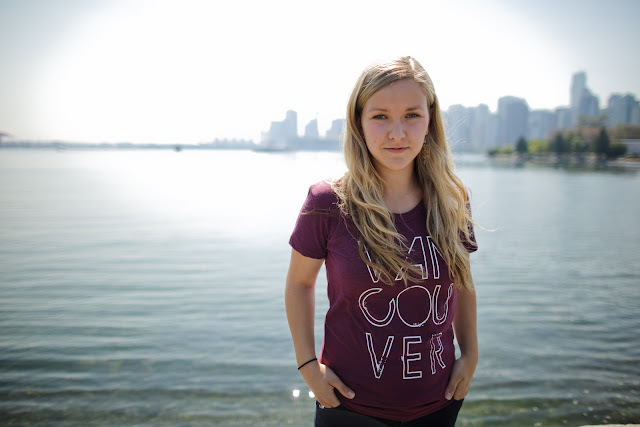 We love being able to showcase the amazingly talented people that have been, and continue to be, involved in Vancouver, we love you [the t-shirt project]. We had the great fortune to have Langley/Vancouver photographer Jamie Delaine help with our very first photo shoot when we launched in August, 2010. She made us, and our shirts, look amazing. We also turned the camera on her during the shoot to snap this beauty. 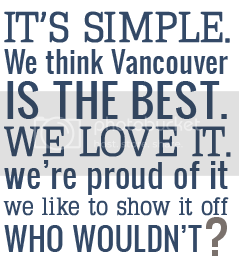 So what does Jamie love about Vancouver? "For over four years now, I've been a Vancouver wedding photographer... who lives in Langley. The best part about my "double life" [working in the city, living in the burbs] has been the opportunity to explore the city and truly start to feel like a "local." On an afternoon before or after a shoot, I love shopping on Main Street -- the boutiques are to die for. Front & Company and Barefoot Contessa stand out as favourites. Other favourite spots in the city include anything with COFFEE. Matchstick Coffee Roasters off Fraser, Prado Cafe on Commercial, JJ Bean [especially the Main Street location], Turks Coffee on Commerical, Gene Cafe on Main Street. My favourite restaurant is The Foundation on Main Street -- doesn't get much better if you love vegetarian food. On a warm summer's night post-photoshoot, I love bringing my running shoes and taking a sunset jog around English Bay/Lost Lagoon area. I am continually astounded by the beauty that is our city!" Would you like to be featured on our blog? 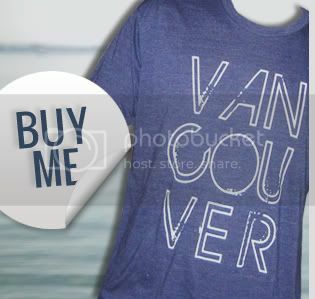 Email us a photo of you wearing one of our Vancouver, we love you shirts around the city (or anywhere in the world!) with a couple of reasons why you love our city. LOVE this shirt and you too Jamie!